MD happens when the macula, which is the important part at the back of the eye becomes damaged. This can make it difficult to see fine detail, such as recognising faces or reading, it does not affect your ability to walk around as the periphery of your vision should not be affected. MD is the leading cause of blindness in the UK. The most common forms of MD happen as you get older and are known as age-related MD (AMD). Around one in 10 people aged 65 or over show some signs of MD. Light entering the eye is imaged on the retina at the back of the eye. The macula is a small area in the centre of the retina. This is the part of the eye that we use to read and see fine detail. The macula consists of several layers of tiny cells. As we get older, some of these can fail to function properly. This can lead to a build up of deposits in the retina and the growth of new blood vessels. These new blood vessels are fragile and bleed easily. If this happens, there may be a sudden loss of central vision and objects may appear distorted. Light is focused on the retina at the back of the eye. The macula is a small area in the centre of the retina that we use to read and see fine detail. The macula consists of several layers of tiny cells. As we get older, these cells can fail to function properly leading to a build up of deposits and a loss of cells. This can lead to distortion and over time, it can become difficult to read and see fine detail. The condition usually progresses quite slowly and various aids are available to help you to see smaller print. There is currently no treatment for dry AMD but the wet form can be treated if diagnosed in the early stages of the disease. if you suspect you have wet AMD contact us straightaway for an examination. We will arrange a fast track referral directly to ophthalmology for any patient we suspected has wet macular degeneration. . There is evidence that improving your diet by eating fresh fruits and dark green, leafy vegetables may delay or reduce the severity of AMD. Some studies show that taking nutritional supplements may be effective in slowing the progression of AMD although they do not prevent its initial development nor improve vision already lost. 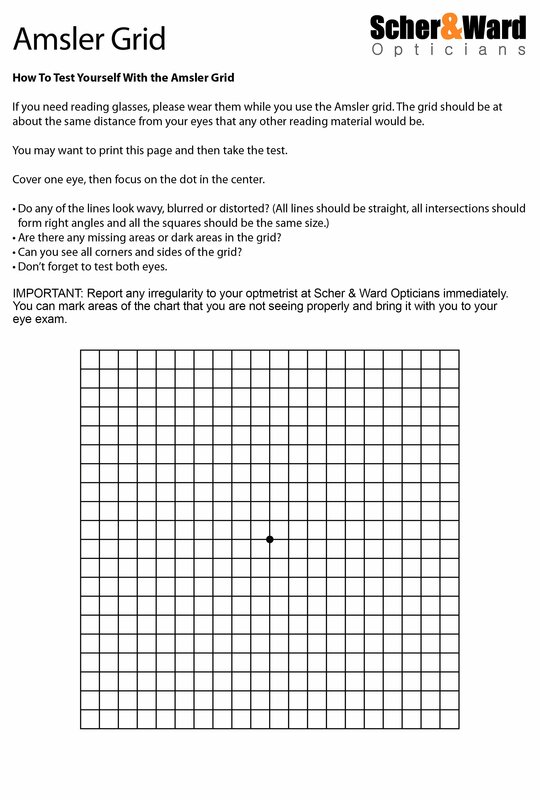 Cover your left eye and stare at the dot in the centre of the chart. Make a note of any areas where the lines are faded or where the lines are distorted. Cover your right eye and repeat the procedure. 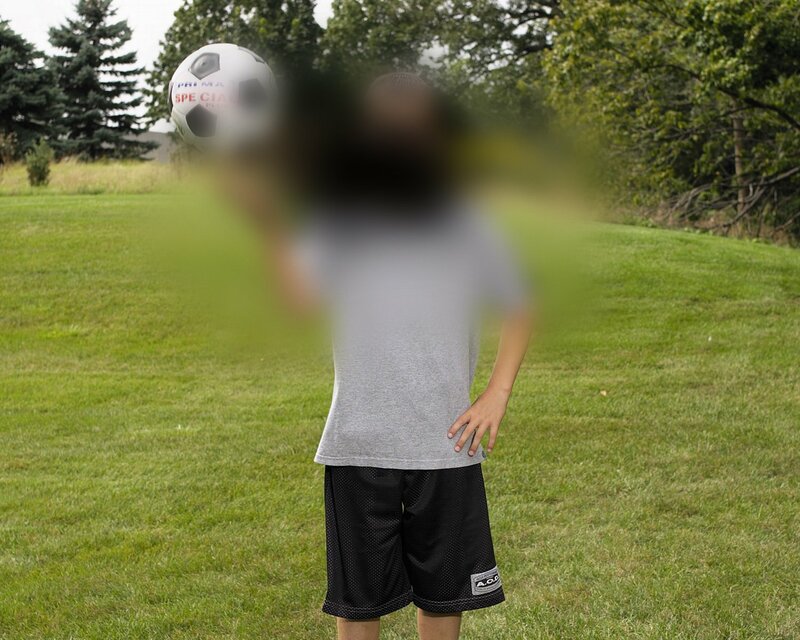 Report any abnormalities to your Optometrist.